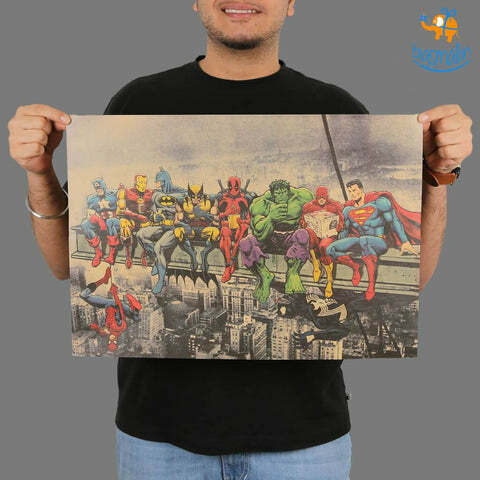 From Captain America to Iron Man - from Hulk to Ant-Man, Marvel Comics have given us some of the most iconic characters in superhero history. 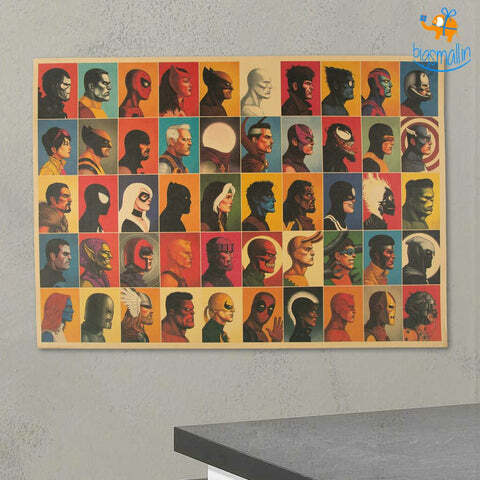 We have enjoyed their exploits on the screens, and on the print for long - celebrate them with Bigsmall's exclusive curation of officially licensed Avengers as well as Marvel Merchandise. 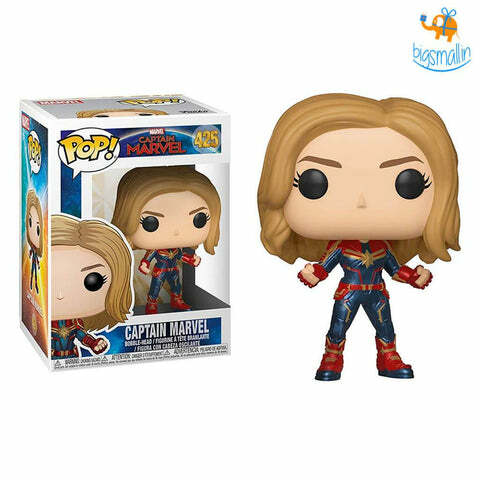 We possess the undisputed copyrights to sell official MCU & DC merchandise. Marvel Studios have been dishing out awesome movies under The Avengers franchise. Fans await the release of the next installment with baited breaths. 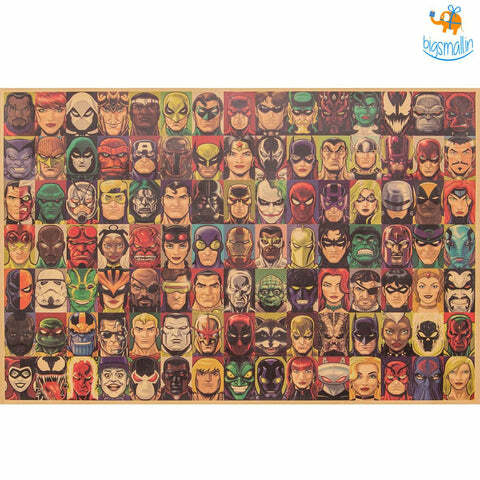 Most fans love collecting superhero goodies & collectibles & are often in the search of stuff like Avengers action figures, bobbleheads, etc. We at Bigsmall.in pander to all such collectible needs. 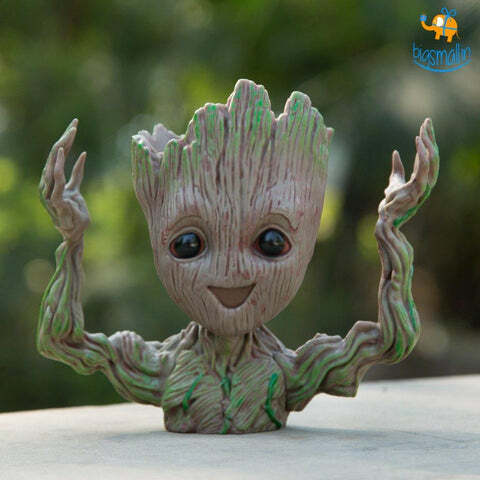 One look at the super cute action figures of Iron Man, Ant-Man & Captain America & one is bound to fall in love with these cute collectibles. There are also action figure recreations of epic scenes from the movie such as Hulk smashing Loki bobblehead. Keeping the child alive in each adult is of great importance! 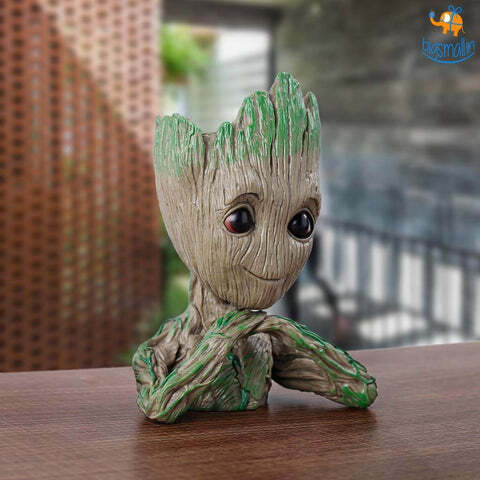 So, if you are looking for Avengers gifts for adults, you may safely stop your search. 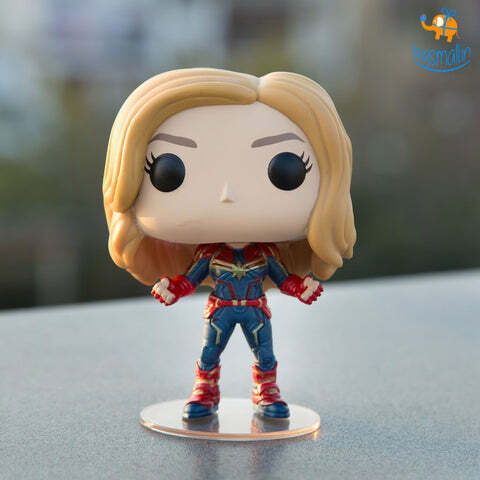 Bigsmall.in is one of the few selected online gifting platforms that brings to you officially licensed Avengers as well as Marvel merchandise. 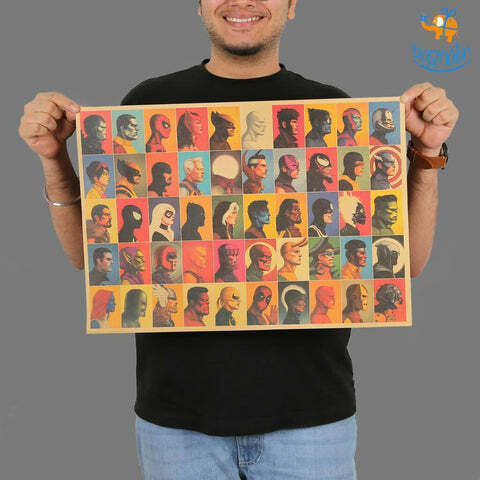 So, you can be assured of the genuineness & quality of the product being delivered to you. 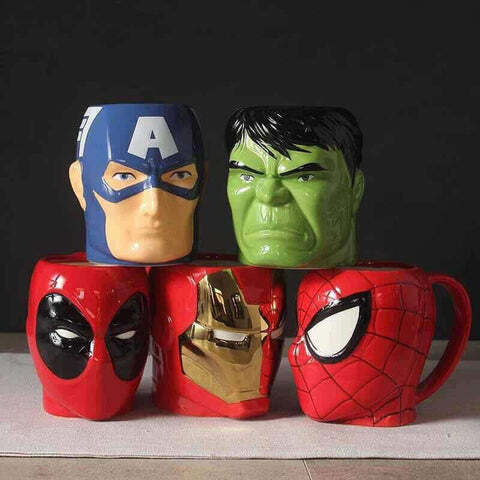 Choose from a plethora of awe-inspiring, cool & functional superheroes official merchandise such as 3D Hulk Fist mug, Baby Thor Metallic keychain, etc. Avengers: Endgame is an upcoming superhero film based on the Marvel Comics superhero team: the Avengers, produced by Marvel Studios. It is the direct sequel to 2018’s Avengers: Infinity War. 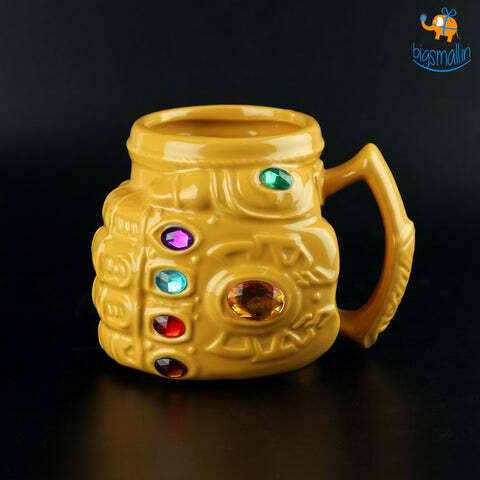 Looking for Avengers: Infinity War gifts? Can’t have enough of the Marvel universe?! 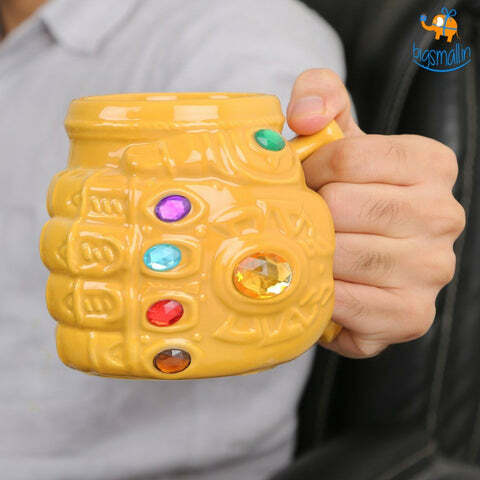 Check out awesome products such as Infinity War Gauntlet mug, or the Thanos Infinity Gauntlet metallic keychain. Are you a superhero nut or do you know someone who lives and breathes superheroes? 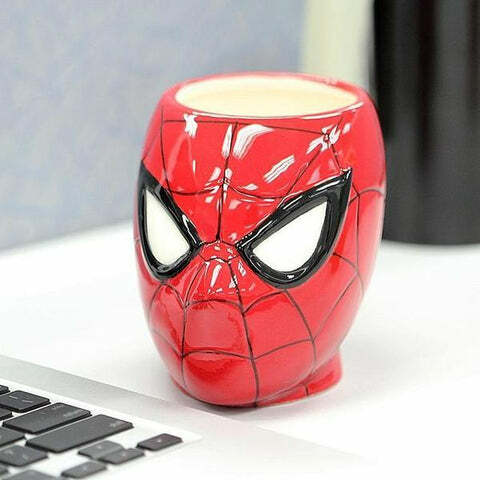 We have a breathtakingly creative spread of ultimate marvel gifts for such superhero crazed fans. 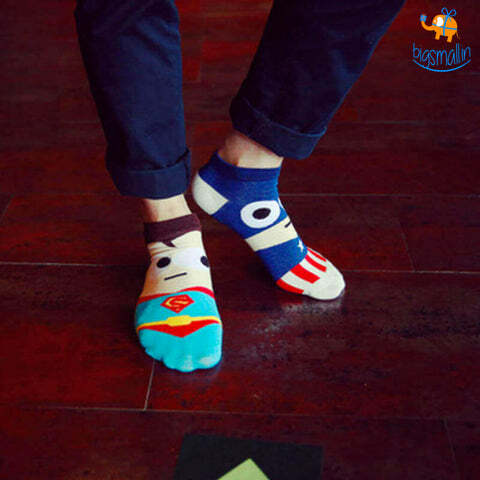 Does your boyfriend keep losing his socks, consider gifting him pairs of cartoon superhero socks, which he is bound to never lose! 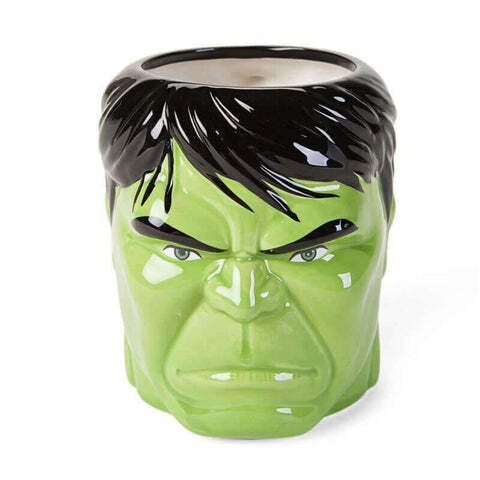 Looking for more Avengers gifts for the boyfriend? Surprise him with a cool new Thanos mask & chances are he won’t be seen without it for eons to come! 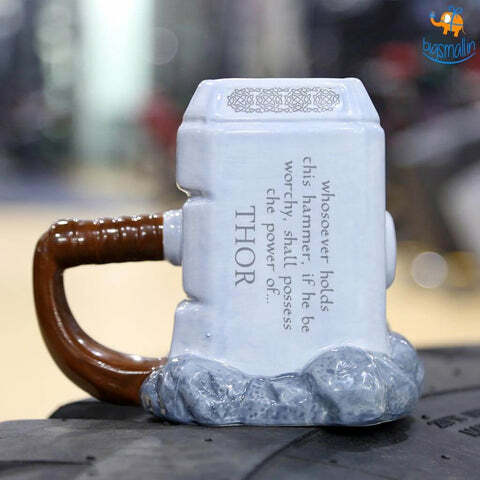 Gifting cannot & should not be boring, & we at bigsmall.in, present a range of creative gifts, such as Thor Hammer bottle opener, Hulk 3D mugs, Thor Hammer keychains, etc. 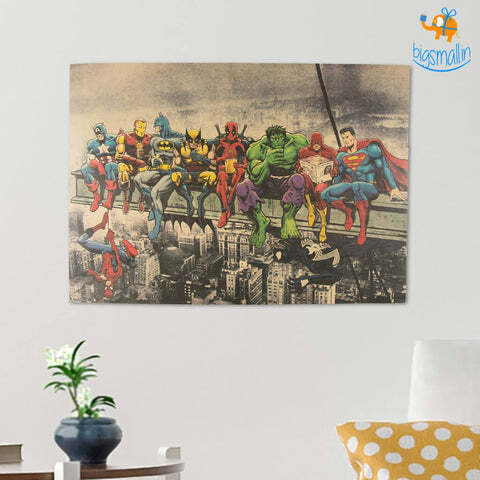 If superhero posters are your weakness, we are sure you won’t be able to resist the charms of the Superheroes Chilling poster. 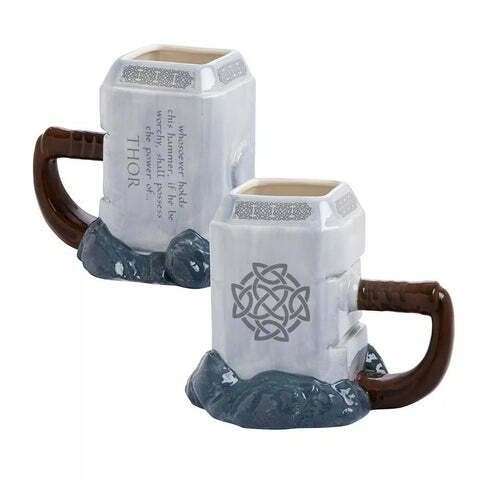 Or maybe you would love your beverage to be served in quirky 3D coffee mugs! 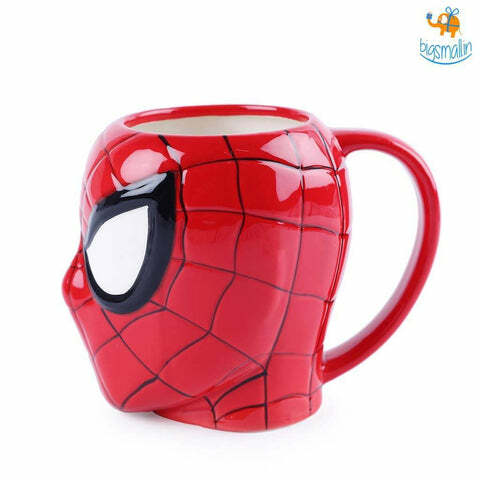 We have got you sorted on that front as well with the Superhero coffee mug collection for instance. The last installment of the Avengers sequel, Avengers: Endgame release date in India is 26th April 2019. Why Avengers 4 is the last movie in the franchise is the current dilemma in the minds of most fans of the Marvel Universe. The first trailer for Avengers 4, officially called Avengers: Endgame has arrived, celebrating Marvel’s 10-year achievement in building its Cinematic Universe. Avengers 4 marks the final film within the Marvel Cinematic Universe’s current generation. How Avengers kill Thanos is another hot topic of discussion amongst fans. Thanos is finally stopped by Warlock, whose spirit emerges from the Soul Gem and turns the Titan to stone. 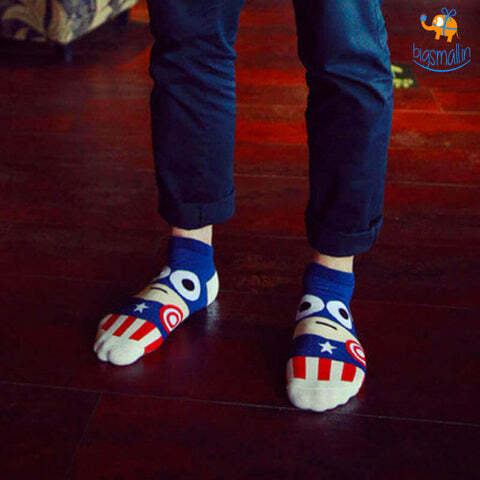 Bigsmall.in hosts an ingenious range of creative gifts for both Marvel as well as DC fans. As Batman says, "It's not who I am underneath, but what I do that defines me." Define yourself by gifting a unique, yet useful Batman gift to the friends who love gushing on about the latest doings of the World's Greatest Detective. Be it Batman gifts for him, for her, for kids, for adults - Bigsmall has a vast collection of unique merchandise and goodie for the true fans of the Dark Knight. 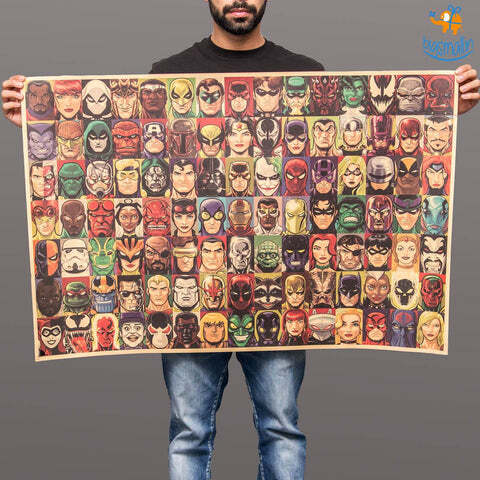 Be it Batman gifts for teenagers, or kid or adult Batman freaks, find the best of official Batman merchandise right here at Bigsmall.in. There is a host of Wonder woman goodies as well, such as Wonder Woman 3D Funko Pop action figure, Wonder Woman plush slippers, etc. 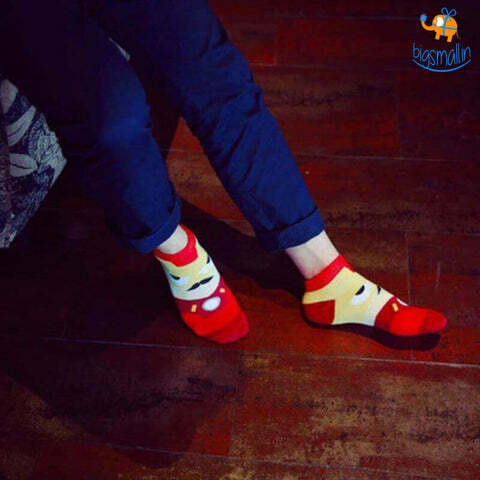 Looking for the best place to buy official DC merchandise, well you have come to the right online gift store!